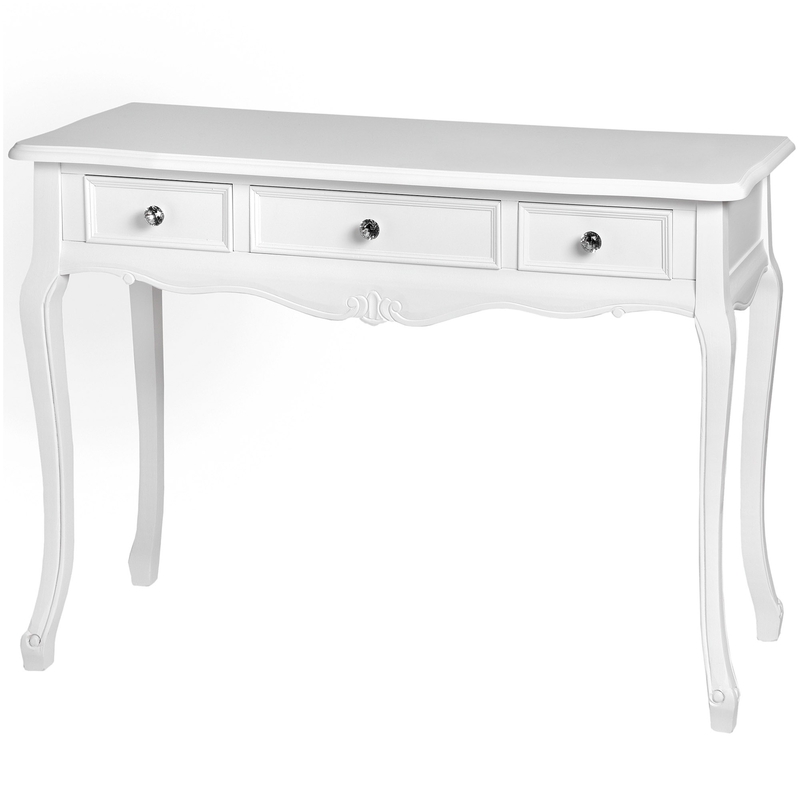 The ideal solution if you're looking for some extra storage space in your home, we proudly present to you this Florence White Shabby Chic Console table. Featuring 3 drawers and a wide table top, this is great for displaying something like a mirror on top. Not only will it give you extra storage space in your home but you get to have a beautiful stylish piece of furniture in your home.